Thread: Best Colo Ghost Towns? I want to start going to some of the Ghost Towns located in Colorado, but there are so many to choose from! Can anyone recomend some that are really good? Without knowing what type of vehcile you drive I would suggest Summitville, Bonanza, St Elmo, as these are all easy to get to with 2wd. It is also important to know where you live as that helps determine day trips verus weekend trips like going to Creed, Silverton, Animas Forks, etc. By the way these all also are accessible via 2wd. Check out my web site for some ideas, Many pictures to help you decide were to go. 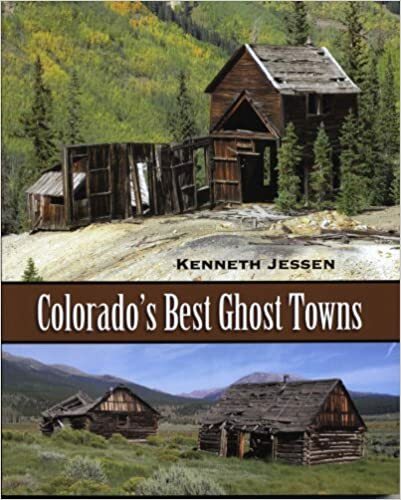 Get Ken Jessens book "Colorado's Best Ghost Towns"
I recommend St. Elmo. It's located west of Buena Vista. I've got many unforgettable memories from that place! Need lots of advice about ghost towns. Please help! Programs on Ghost Towns on T. V.